Lumpiang hubad wrapped in traditional lumpia wrapper then fried until golden. 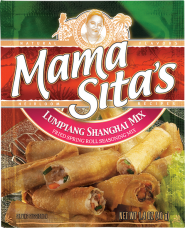 Usually eaten with a dipping sauce. Spoon three tablespoon fulls of lumpiang hubad onto a wrapper. Fold the sides inward and roll up. Brush the upper edge with water. Press down to seal the spring roll. Heat oil and deep-fry spring rolls for three minutes or until golden. 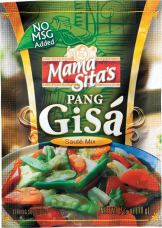 Drain and serve with Mama Sita’s Coconut Nectar Vinegar.